A strong immune system is very important to help fight inflammation and bacteria. Essential vitamins and antioxidants found in fruits, vegetables and nuts help protect gums and teeth as well as keep them clean and give the breath some freshness. The single worst thing one can do for their oral health is smoking. Using tobacco causes not only oral cancer but also cancer of the throat and lungs. It can also put one at higher risk for gum disease, recession, tooth decay and staining that is difficult to remove. Smokeless tobacco is particularly risky when it comes to oral cancer. The consumption of alcohol is associated with increase in oral cancer risks especially if associated with smoking. It has been reported that it also promotes gum disease. Patients who consume excessive amounts of alcohol usually have poor oral hygiene. Good homecare habits help maintain one’s overall heath. It is important to floss at least once a day and to brush twice a day at minimum. Without consistent oral hygiene, plaque and tartar will build up quickly and harmful bacteria will start colonizing the gums and teeth causing decay and gum disease. See the dentist for routine checkup and dental cleanings at least twice a year or more often if recommended by your dentist. Some patients who have oral conditions such as gum disease or patients who are under orthodontic treatment generally need to have a cleaning appointment every three or four months to maintain the health of their gums and teeth. Following the above recommendations will keep you healthier and possibly help avoid the need for major dental treatment. 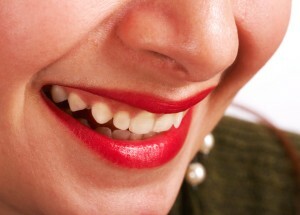 If you are looking for more information on how to take better care of your gums and teeth call us at 212-481-2535. We look forward to speaking with you!